The perfect way to sneak more servings of vegetables into your dinner. 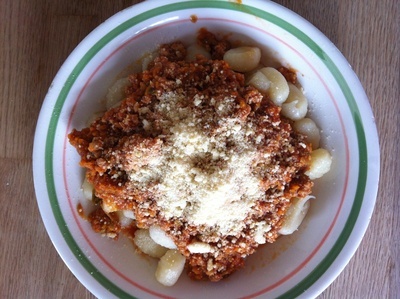 This is not your traditional bolognese. 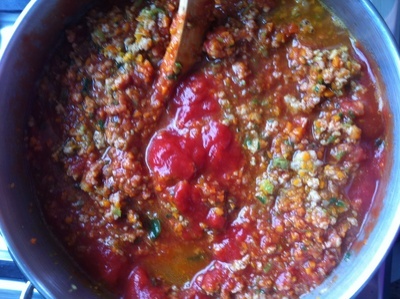 It is mince made with every vegetable on hand in order to pack more vegetables into your diet. The kids won't even know that there are at least 5 or 6 servings of vegetables in this sauce which makes it all the better. 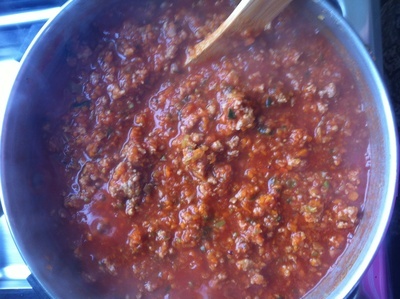 The pork and veal mince is much less heavy on the stomach than regular beef mince which makes the whole meal lighter and more subtle in taste. The flavour of this meal is in the vegetables but also in a little bit of the vegetable stock which is stirred through to make the sauce delicious. Make it as saucy as you want but I prefer to use at least 1 litre of good quality tomato puree to thicken the sauce and to make it smooth. The more vegetables you add the more economic this meal becomes. You would be surprised at how much 1kg of mince goes with this dish. This actually makes 3 dinner nights for a family of four people. You may like to eat it with gnocchi, pasta, wraps or taco's. It is so versatile that you won't be hunting for ideas! 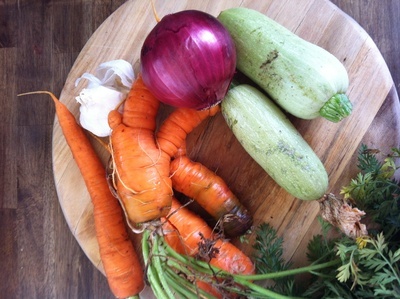 Prepare your vegetables or pick whatever is in season from the garden. 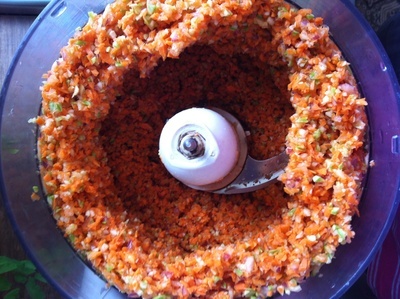 Use a food processor to blend the vegetables together. You may need to blend it in two batches as not everything fits in the food processor. Fry all the vegetables on extra virgin olive oil. 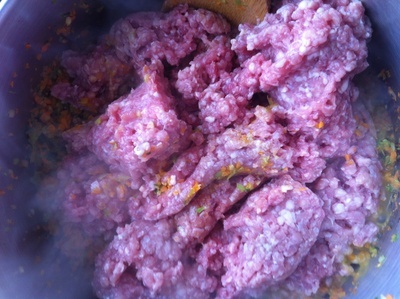 Add the pork and veal mince and stir together until the mince is becomes grey in colour. Add the stock. 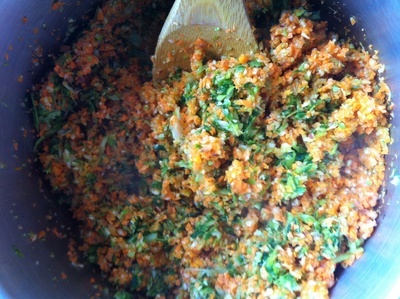 Add the tomato puree and stir together. Cook on high then on low for 30 minutes or until the meat is cooked and the sauce is formed. 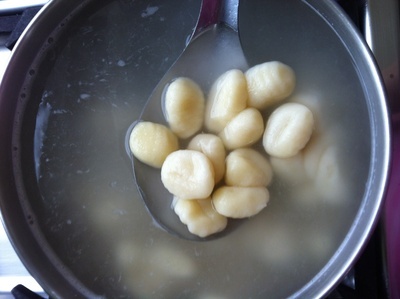 Cook the gnocchi in a separate saucepan. Cook until it is boiled, then wait until all the gnocchi has risen to the surface. Serve the gnocchi with the sauce with sprinkled parmesan cheese.